"I decided to embark on buying my first home in a market that even veterans were raising their eyebrows out. Bidding wars were the standard, and houses were selling so fast that it seemed that home-buying had entered the world of a competitive sport. In any market the quality of your realtor is important. But in this market, having a good realtor is the difference between buying a house or not. Kerry Waite with the Hoffman Realty Group was just the guide that I needed for this sometimes-harrowing journey. She was incredibly knowledgeable, friendly, optimistic, and responsive. She always had my best interest in mind, even when it meant supporting me when I passed on houses that would have worked, but weren't perfect for me. She was a cheerleader when I needed one, and a real estate sage when wisdom was required. Buying my first house in suc h a crazy market could have been a recipe for disaster, but thanks to Kerry, I'm now in a house that is more perfect for me than I would have ever imagined! " "It was a pleasure working with the Hoffman Realty Group to purchase our first home. For us, buying a home was also about building a relationship with our realtor. Scott and his team's industry experience, knowledge of the local market, and professional and sincere approach during the entire process was invaluable. We recommend Scott and his team to anyone looking to buy or sell, and we will certainly call on them again in future for any of our property needs." Hi...I'm taking a break from unloading the boxes and thought to send this to you: "It was 18 years ago that Scott helped my wife and I buy our first house in Wake Forest. I made three house hunting trips from upstate NY and over the course of six weeks looked at over 50 houses. Scott dialed in to my selection criteria, which included not being able to look into the neighbors kitchen or them being able to look into ours. Scott diligently showed house after house and never showed any sign of tiring from the number of houses he had to show before making our selection. The truth of the matter is there were at least a dozen houses that we just never went in because he knew the resale market well enough to know that we would not recover the input value when we sold. Since that first purchase 18 years ago, Scott and his 'crew' helped us buy and sell several investment properties as well as an upgrade to the first home. Over these past 18 years the number of options to complete a property sale has increased but I have never thought of using anyone but Scott. Scott does the research to determine the maximum that the market can bear for the sale price and the sale is completed at or near the asking price. One of our most recent sales sold within 24 ours of him getting it listed. Our last house where we lived in Wake Forest was only shown 5 times and sold in less than three three weeks because of Scott's research to get the right price and the marketing efforts behind the scenes. 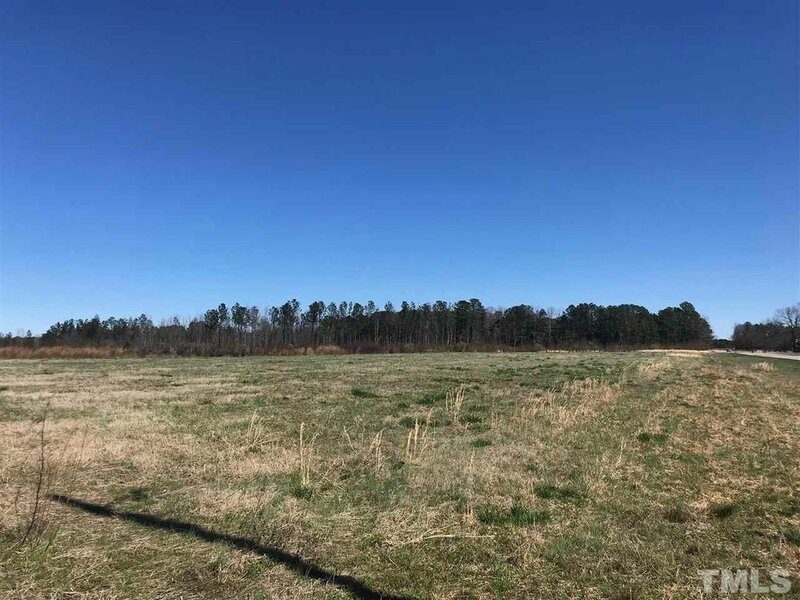 So all of that being said, I have one more investment property left to sell in the Wake Forest area, and I can assure you it will be Scott Hoffman that I call when we're ready to sell. Thanks Scott (and Christina) for all you've done." We are totally loving Florida!! The pool is gorgeous and weather even finer. "Working with the Scott Hoffman Realty group made purchasing our first home a very smooth process. Scott and Christina were there every step of the way to explain the process, answer questions, and give valuable advice during the negotiations. During the closing, they gave us a heartfelt personalized gift and ensured that we would close on time and efficiently. I would recommend this team to anyone looking to purchase a home!" "I cannot say enough good things about Scott Hoffman and his team, especially Christina Mastascusa. In 2008, I moved to the Triangle area and Scott helped me purchase a townhome. Fast forward to 2017 as I now live in Ohio. I contacted Scott to help me list my home for sale. Scott and Christina made this process so easy for me. They answered every question, made recommendations, and helped me prepare to sell quickly. It is only with the help of Scott and Christina that I was able to sell my home within 48 hours of listing it! I highly recommend Scott and his team for any real estate needs!! Thank you, thank you, thank you for all of your expertise advice and help! I highly recommend Scott Hoffman and his entire team!" A great team, caring team & attentive team 1. How well did our team deliver what they promised? Delivered as promised. 2. How accessible were we when you needed to contact us? Very accessible; prompt on response. 3. How well did we listen to you? No misunderstandings. If interpretation was incorrect it was updated promptly. 4. How willing would you be to recommend us? I would recommend with no hesitation. I will be proactive in my recommending Keller Williams Realty 5. How would you rate the quality of our service? On a 1 - 10 scale I would rate Keller Williams Realty a 10+ 6. If you were in charge of our business, what one thing would you change? I would not change anything. Scott's team is "well oiled and purrs like a kitten"! 7. What is one thing we could add to our service to make it a 10+? With the responsiveness and attentiveness of the team, you are already a 10+ 8. How could we do a better job of serving you? 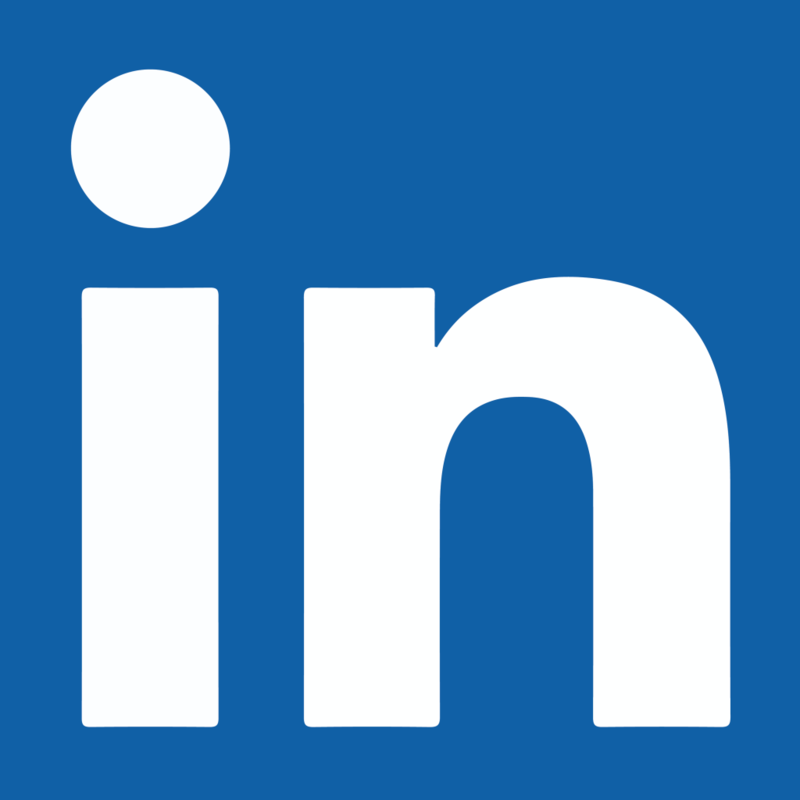 I could ask for no better service I have worked with Scott Hoffman & his team for many years. During the course of the time I have sold/bought multiple locations in the Raleigh area. There has never been a moment in time where I would consider any group other than Scott's when it was coming time to sale/buy. A great team, caring team, attentive team, and involved team led by a Real Estate giant in my opinion, Scott Hoffman. Scott was extremely helpful in our search for the perfect home. Once we decided on a house, the entire team (The Hoffman Realty Group and The Lassiter Mortgage Group) made the process as painless as possible. Everyone made sure to thoroughly explain the steps in the home buying process and were readily available if we had any questions. They were AWESOME! There are so many great adjectives to describe Scott....focused, diligent, determined, structured, and as a bonus; really nice. What's most impressive in that he uses these traits for the advantage of his client so that they can have the best experience and make good decisions. That is the highest compliment for a real estate agent. Working with The Hoffman team was awesome. Moving from another state my family required someone knowledgeable and trustworthy. Scott knew the Area as if he was with the city council. Not only did Scott help us find our home, but he had an excellent referral system which aided us in other areas of our move. Scotts professionalism and follow through made our buying experience a pleasure. We highly recommend him. Scott is one of the most organized people I know. His knowledge of how to use the Internet to market his services and his listings is head and shoulders above most Realtors in the Triangle. I consider myself technology and Internet savvy but Ive learned several new ways to market from Scott. Hes a great person to work with. Scott is a very detailed agent, with his clients best interest at heart. He will definitely go the extra mile to make sure that his clients are happy! Scott was instrumental in helping my husband and I find the perfect home when we moved from Washington, DC to Wake Forest, and did he ever! We LOVE our home! Scott took the time to get to know us and our needs, and he found a house that satisfied both of us completely. In fact, we were so impressed with the service Scott provided that we didn't hesitate to recommend him to our friend who moved down a few months later! Scott continues to amaze me with the ideas he brings to the table. He understands the importance of technology and uses it to his extreme advantage on a daily basis. Scott is very personable and I know he gives every one of his clients over the top service! Scott is an outstanding agent - he knows the market and his organization and efficiency will ensure a smooth transaction for all of his clients! Of the 800 agents in our company, Scott is the primary agent, our firm views, as knowing how real estate is marketed best on the internet! His focus is on giving the best service and the best communication that is available in our real estate industry! We are so proud to have him as a part of our company and as a representative of our firm. Scott is a very experience broker with a vast amount of knowledge about the real estate business. He is always willing to answer a question and to assist a fellow colleague. I am constantly amazed by Scott's ability to stay one step ahead of the up an coming technology in the real estate industry. He is a wonderful real estate agent and an absolute pleasure to work with! We worked with Scott on the buy and sell side in two real estate transactions. Scott led the charge on how to improve our home on the sell side and made recommendations on what/who to contact to get the job done correctly, the first time. The house was on the market 6 days and fetched 97% of the list price in a down market. Scott's results speak for themselves. Scott's knowledge and experience in real estate are unmatched. He knows how to manage his business and deliver excellent service to his clients. 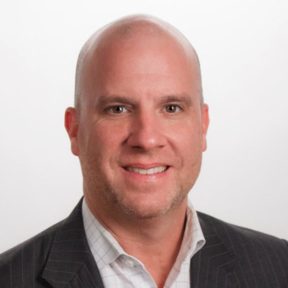 I have learned a lot from Scott and consider him to be one of the top brokers in the Triangle. Amazing man to work with. I've knows Scott both personally and professionally and hes one of the most trust worthy individuals that I still like to work with. He keeps your needs in mind and always helps to ensure that everything is taken care of and that you understand the ins and outs of the process. Awesome home buying experience. Unbelievable realtor here in the Triangle. Expert Knowledge paired with his amazing client service and followup make for incredible transactions for the buyers, sellers, and co brokers that Scott works with. Clients are important to Scott far after the sale. Scott is a well known name in the Triangle because of his determination and learning based attitude. Scott sets the bar high when it comes to professionalism! Any client is lucky to have Scott on their side! Scott brings innovation to real estate. Hes always on the cutting edge to provide the best service to both buyers and sellers. I know when I refer friends or relatives to Scott that they are in the best hands! Scott Hoffman is a great real estate agent with all the technology know how at his fingertips. He is a person who cares for his clients , friends, & colleagues. He is always ready to lend a helping hand to anyone with technical questions. Im glad to call him a friend. In all our years dealing with real estate companies/agents, no one has even come close to the professionalism and caring of The Scott Hoffman Team. Not only is Scott Hoffman well ahead of the curve using todays internet technology to assist in the sale, he is also very personally involved and makes his clients feel they are the only client he has. His recommendations to his clients during the sales process on the property are made as if he owned the property; he is not only interested in making the sale or purchase but wants his clients to make the best decision based on their own personal situation. We highly recommend The Scott Hoffman Team to anyone who needs real estate agents services. We would be more than happy to be contacted and talk with any client personally on the wonderful service we have received from The Scott Hoffman Team. Scott is a consummate real estate professional. Hes dedicated to providing exceptional service to his clients and ensuring that their real estate transaction goes smoothly from start to finish. Hes professional, detail oriented, prompt, honest, and extremely knowledgeable. Highly recommended! If you're buying or selling, Scott Hoffman is a fine real estate person. His patience with the search for our new home was first class. He found what we were looking for and really helped with the negotiations and the needed follow up support on the purchase of our new home. We have and will recommend Scott Hoffman to others. My family was looking for a new home 4 years ago and we were fortunate to have Scott for our real estate agent. Scott is very knowledgeable about this business as well as flexible. We are busy people just like everyone else, knowing this Scott used email to communicate with us providing house listings. This definitely saved a lot of time and money! He was able to get us into a house which wasn't ready for the market. His connections within this business got us what we wanted. We did purchase this house, and Scott assisted us with every detail and provided reputable businesses to perform the work we needed. Our relationship with Scott didn't end after we bought our house. Scott continues his service by regularly sending emails and newsletters providing helpful tips and reminders for our home. Its nice to know you have a resource when you need it! In connection with the above referenced individual, please allow this letter to serve as my strongest recommendation of Mr. Hoffman as an individual and as a professional Real Estate Broker. Scott cares for each and every client. He personally helped me in purchasing my new home, and also when I got ready to sell Scott listed and sold my home. In conclusion, Mr. Hoffman is a top-notch professional and person. The three most important assets a professional realtor can bring to their clients and customers are local knowledge and information, exceptional service and depth of experience; Scott is the standard in these three areas, against which all others are measured! Scott Hoffman is a superior real estate agent, he consistently over achieves in all aspects of his real estate business. He is by far one of the most knowledgeable realtors in the Raleigh area and has helped hundreds of home owners negotiate the top prices for their homes. I would recommend him for any real estate transaction you might have. Scott is one of the most social media and tech savvy agents that I have worked with at HPW. I am constantly impressed with his seemingly effortless ability to merge these two talents. Scotts acute business sense and his dedication to his clients make him one of the most sought after agents in the Triangle. Scott Hoffman and his team, including Christina, the closing manager, were extremely professional and helpful in the search for our first home as a married couple. Scott was very deliberate in taking the time to show us properties with various benefits and shortcomings to hone in on exactly the type of house we would really connect with. We spent five or six outings over the course of 2 months or so with Scott. We can honestly say that without his knowledge of the properties, the neighborhoods, and his knowledge of potential resale implications, we would have been reasonably lost without him. We never felt pressured to pick a property by Scott, you took the time to make sure that we were getting what we really wanted. After we found a property we really liked and had put an offer in, they continued to support us throughout the purchase offer phase, due diligence, securing necessary information for my lender, and finally facilitating the closing. We also used several of their recommended contractors, who were all very professional and of high caliber. Being new to the area, it was good to have a team like Scott Hoffman's to help make our transition that much easier. Everyone was a pleasure to work with. Especially Christina, who was very hands on when helping us close. We're glad we chose Scott Hoffman's team at Keller Williams to partner with us! My number one priority is helping you achieve your financial goals, and that all starts with your mortgage! We strive to convert our clients into advocates by not only meeting, but exceeding, their expectations. By delivering world class service our advocates refer us at least 1 client during the transaction and 2 more clients each and every year. Through teamwork our agents are able to have balanced lives. 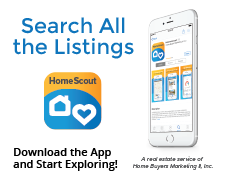 Click the image above to get your free Home Scout App and Start Searching Today!